The second Start Fund activation took place this week in response to renewed displacement in Kachin, Myanmar. The alert was raised on Wednesday 30th April at 11:20am. The funded project was able to start implementing by Friday 2nd May. The alert was raised by Christian Aid who described a recent escalation in the ongoing crisis in Myanmar, brought about by conflict between the Myanmar Government Armed Forces and the Kachin Independence Army. A renewed outbreak of fighting in Kachin on April 10th forced thousands of people who were already displaced to flee the temporary homes where they had been staying in the area. As a result, up to 5000 people have been affected, with many now reportedly living in makeshift tents in open fields or forested areas, in church compounds, or with host families. Conditions are dire for the displaced, with severe shortages of basic commodities and clean water. There have been several reports of families being pressured by the military to return to their original homes, causing chaotic movement back and forth between the villages and various camps. Kachin is one of the most heavily mined areas in Myanmar. Not only do the landmines pose a threat to the vulnerable populations, they also inhibit the delivery of humanitarian assistance. The oncoming monsoon will bring heavy rains in the coming weeks, exacerbating the situation faced by the displaced and further impeding humanitarian support. The Kachin conflict in Myanmar was ranked by ECHO as the top forgotten crisis for 2013-14. Although other donors are responding to the wider crisis in Myanmar, UN OCHA has identified a funding gap meaning that urgent protection issues in Kachin are not being addressed. The Start Fund Allocation Committee met on Thursday 1st May at 10am and decided a small intervention would enable local agencies operating in the area to provide immediate assistance in response to the recent spike. 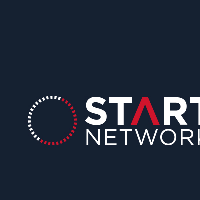 Start Network members were invited to submit proposals by 12pm on Friday 3rd of May. The Start Fund Project Selection Committee met at 2:15pm on Friday afternoon to review the one project proposal that was submitted. The proposal was submitted by Christian Aid, who will be working with Oxfam to channel funds to their local partner agency that is well established in the area. The project will provide immediate support prior to the monsoon season for up to 7,650 displaced people. This will be achieved through the distribution of non-food items, shelter & latrine construction, hygiene promotion, and cash transfers for food.